FFA - The hijab is a symbol of Islamist oppression towards women sanctioned by Sharia and fatwas. Iranians are still being put in prison today for opposing Sharia edict on hijab. The hijab, progressives’ new diversity symbol, was invented in the 1970s over 1300 years after the Quran was written. The truth is the hijab is not derived from the Quran but is legislated by Islamist dictates and fatwas that oppress and dominate woman. Strict Islamic law, Sharia and fatwa enforcement requiring women to wear the hijab started only within the last 50 years. Muslim women are currently protesting the Islamist dictates in Iran and Saudi Arabia while some western companies embrace the oppressive Islamist headgear. 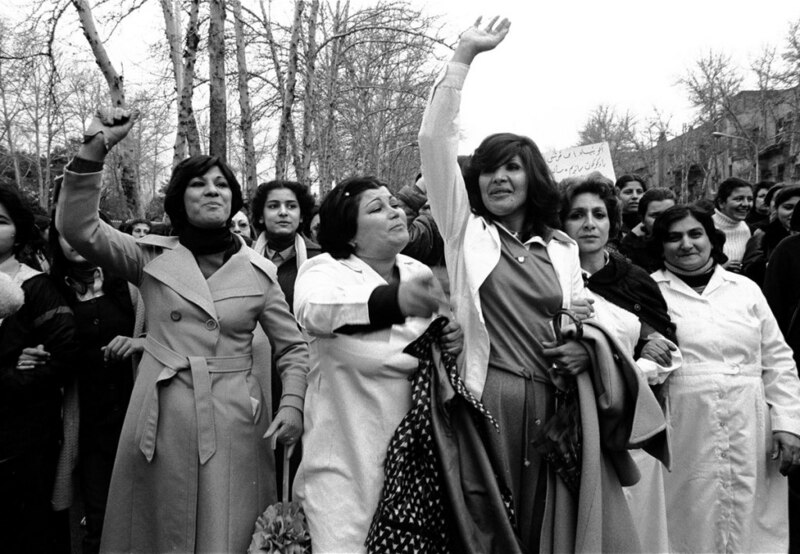 Women In The World published an article titled “The day 100,000 Iranian women protested the head scarf (hijab).” A seldom-seen collection of photographs, shot in Tehran in 1979, is challenging perceptions of the feminist movement in Iran. 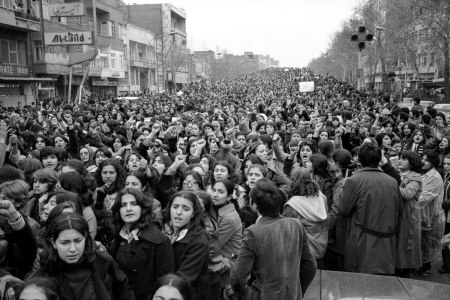 The article states in part: When 34-year-old photographer Azadeh Fatehrad first laid eyes on an image by Hengameh Golestan, of women protesting in the streets of Tehran in 1979, she was struck immediately — it was unlike anything she had seen before. March 8, 2019 Activists Appear Unveiled in Tehran on Women's Day. Small groups of Iranian women celebrated International Women's Day by appearing publicly unveiled in Tehran and calling on Iranians to support their defiance of mandatory veiling in the Islamist nation. Iranhumanrights.org publised a report on January 22, 2019 titled: Iran Sentences Men Who Supported Women’s Protests Against Compulsory Hijab to Six Years Prison. British Muslim Qanta Ahmed writes in part on March 18, 2017: As a Muslim, I strongly support the right to ban the veil. At last, the European Court of Justice has made a stand for European values. Rigid interpretations of the veil are a recent invention. They’re derived not from the Quran or early Islamic tradition but from a misogyny which claims a false basis in the divine. So when the ECJ supports employers who ban the hijab, it is categorically not impinging on anyone’s religious freedom. I was raised as an observant Muslim in a British family. Women, I was taught, determine their own conduct — including their ‘veiling’. We’d cover our hair only if we freely chose to do so. That’s why I’m baffled by the notion that all good Muslim women should cover their hair or face. My entire family are puzzled by it too, as are millions like us. Not until recent years has the idea taken root that Muslim women are obliged by their faith to wear a veil. It’s a sign, I think, not of assertive Islam, but of what happens when Islamists are tolerated by a western culture that’s absurdly anxious to avoid offence. This strange, unwitting collaboration between liberals and extremists has been going on for years. In response to cases brought by two veiled Muslim women from Belgium and France, the European Court of Justice has ruled that employers have the right to stop employees wearing visible religious symbols, including headscarves worn in the name of Islam. This ruling includes not only the burka and the niqab (already entirely banned from the public space by a number of European countries) but also the face-revealing hijab. Read more. Pew Research found that only forty three percent (43%) of American Muslim women wear hijabs according to an article published by NPR on April 21, 2011. The NPR article states in part “The split between women who've covered and women who've never done so has existed for decades. But now a generation of women is taking off the headscarf, or hijab.” Therefore, after several years of “a generation of women taking off the hijab” the number of Muslim women now wearing the hijab in America is likely much less than forty three percent. Islamic Research Foundation International, Inc. reports The Qur'an Does Not Mandate Hijab. The Qu’ ran does not provide a specific dress code except for the need to be modest. Therefore, the basis of what to wear is often decided in the manner described by Shaykh, Dr. Abou El Fadl. “Abou El Fadl argues that in contemporary Muslim societies people tend to become authoritative by imposing a single viewpoint to the total exclusion of others. Shariah (Islamic law) is then invoked to quash debate by people who are themselves not adequately qualified to do so.” Gulf News reports in part: Saad Al Deen Al Hilali, a professor of Islamic jurisprudence at Al Azhar University, said on private television station ON TV that texts in the Quran on women’s attire are not “definitive” on the headgear.